I had always planned on doing a wrap-up of the challenge at the end. Now the end is in sight I thought I would begin this task. Being the year-end I thought it would be nice to do a quick review of the whole year up to the end of November. I think #REDBED December deserves a round-up post of its own. 2016 had been a mixed year. 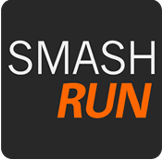 On the one hand I tackled and smashed my 5k and half-marathon PBs. On the other I battled with bursitis in both heels for much of the year. 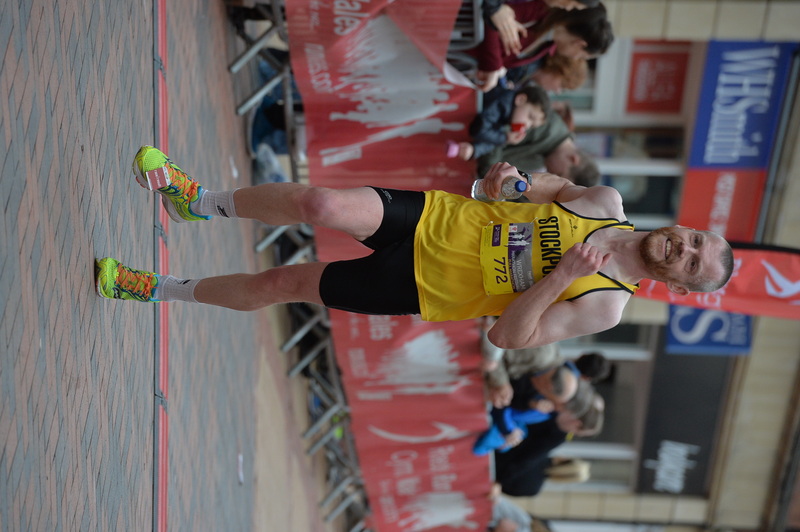 At the back end of 2016 I’d started running with a group from Stockport Harriers and began to rebuild my form as I went into 2017. I started 2017 with a walking holiday in Snowdonia & surrounding area. I had fabulous weather and enjoyed stunning views from the summit. I also planned to tackle my full marathon and 10k PBs and to set a target mileage of 1000 miles for 2017. I’ve done this once before in 2015. 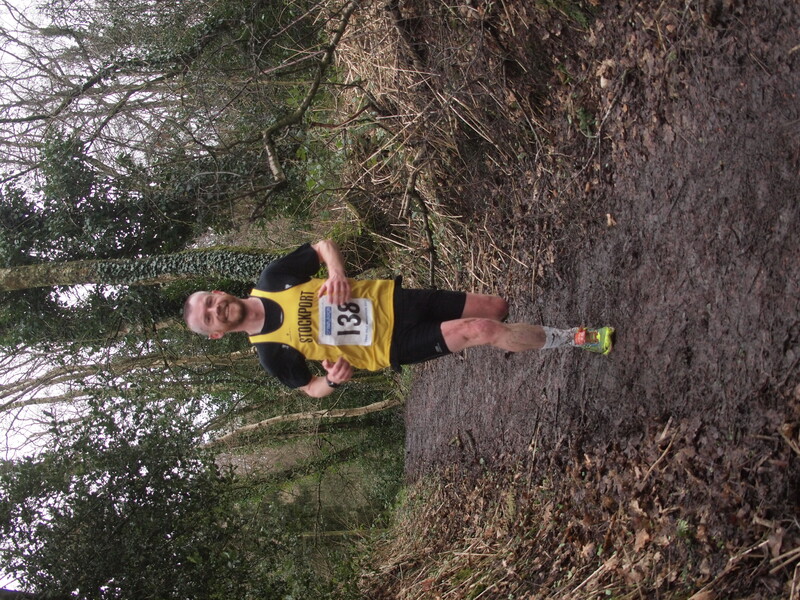 As February reached into March I put down a couple of decent half-marathon results. Anglesey, despite the icy rain during the race, was only 41 seconds off the PB of 2016. The regular group sessions of interval training and long runs was really paying off. 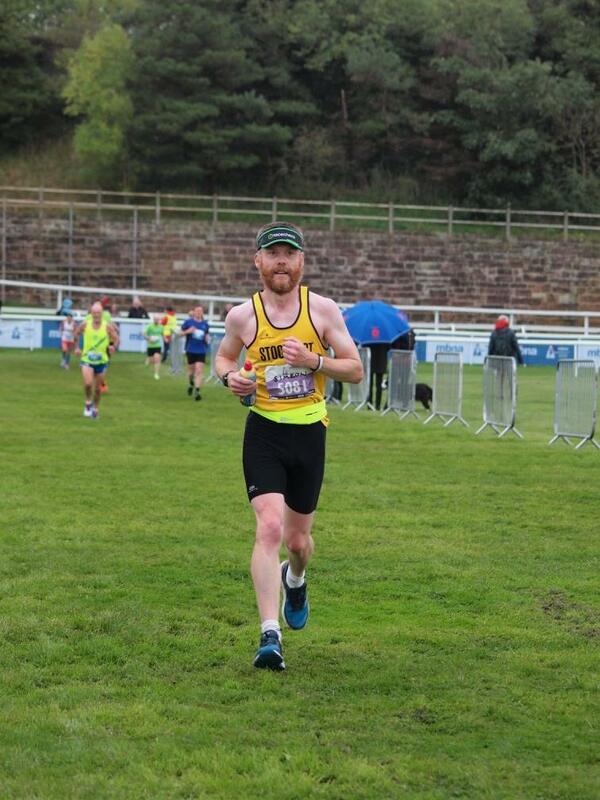 I’d quietly planned a trail marathon in the late spring, but threw a last minute entry into the Wrexham Marathon Festival. 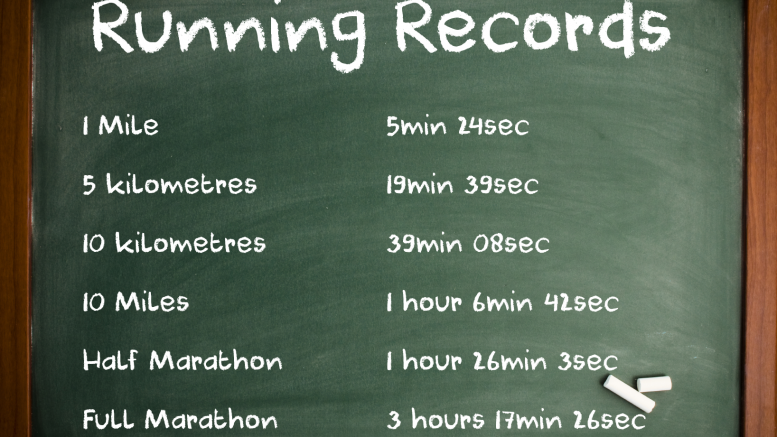 It was early in my training but I smashed off a whopping 9 minutes off my PB to get 3h17m30s. This was just outside my Good For Age (GFA) for automatic qualification to some of the major world marathons and things were looking good. 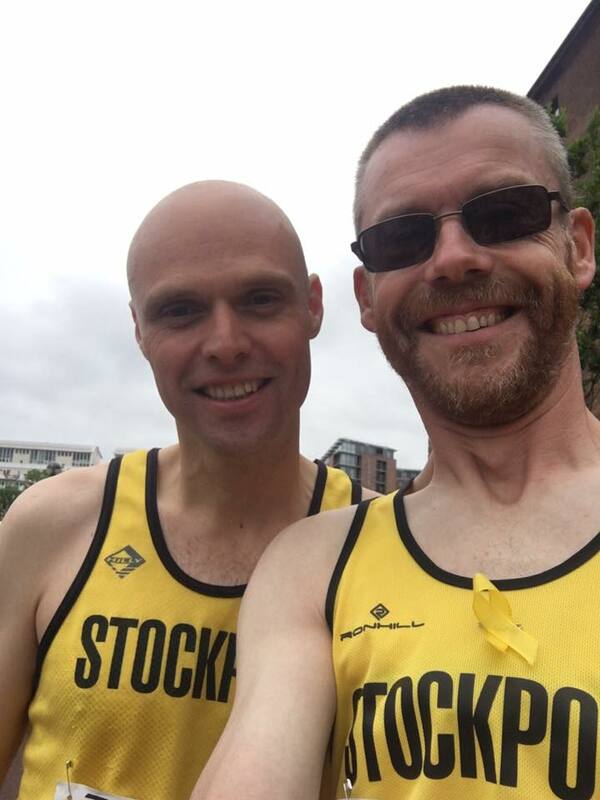 I’d swapped out my trail marathon for a stab at Liverpool marathon with the GFA firmly in my sights. But it wasn’t to be. Unbeknownst to me, I aggravated an old piriformis injury during my final long run. I raced a 5 mile course a few days later and although I set a super quick time, it left me practically unable to walk. 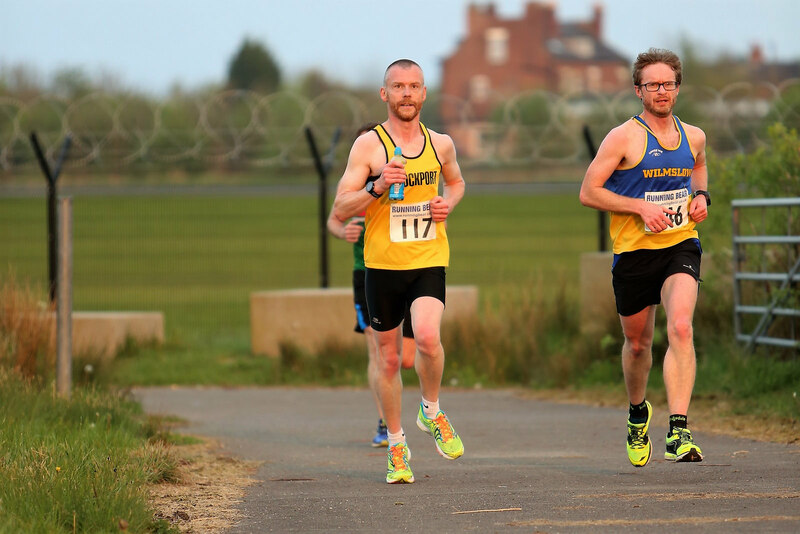 Round the Runway – where I broke myself! A month of physio and a couple of set-backs and I did line up to start Liverpool. But after 10 miles my back made it very clear that it wasn’t happy. It was my first DNF from a race. Although disappointed that it wasn’t to be, I was happy that I’d given it my all and it was just circumstances beyond my control. I would love to say that the injury cleared up quickly and I was back to racing at my best. Sadly, the piriformis didn’t really settle down properly until October. That said I did get to do a few shorter races. 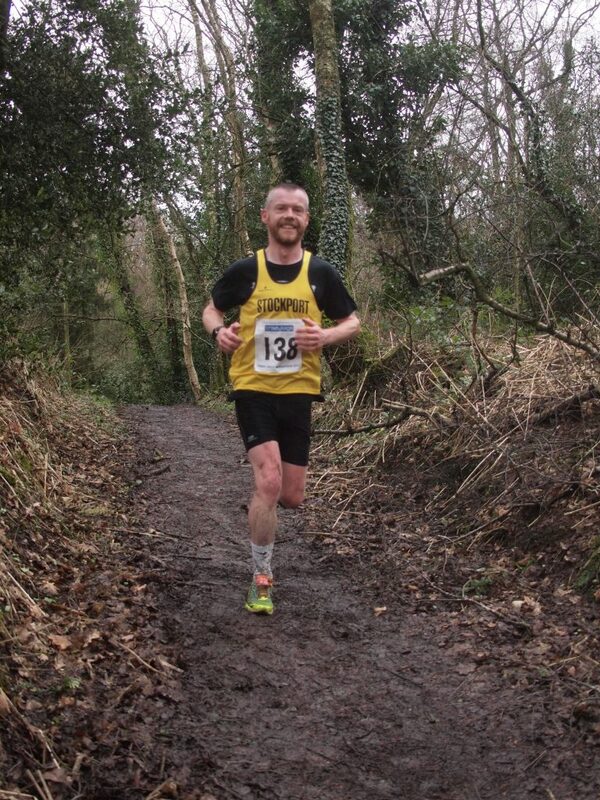 I managed to patch myself up enough to run the Alderley Edge Bypass 10k in July. This was my ‘A’ race for 10k on the grounds that it was flat and pretty much straight (just an out and back route). And despite my misgivings of the event itself, I knocked 90 seconds from my 2013 PB at the distance and went sub-40 minutes for the first time ever at 10k. So despite all the injuries, by July I’d succeeded with both the goals I’d set at the start of the year! One might have expected that by October I would have been fighting fit for the two remaining marathon attempts of 2017. Admittedly the last one, the Snowdonia Marathon was not there for a PB. However, I took the decision to sell on that place as I knew I wasn’t really fit enough to run 26.2 miles, let alone in a race with several big hills. 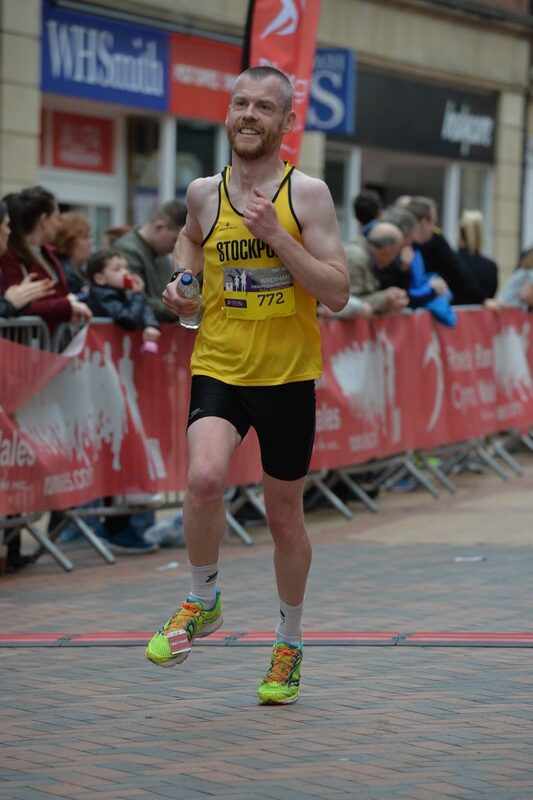 Similarly, I swapped my race place at Chester to the shorter ‘metric marathon’ for basically the same reason. 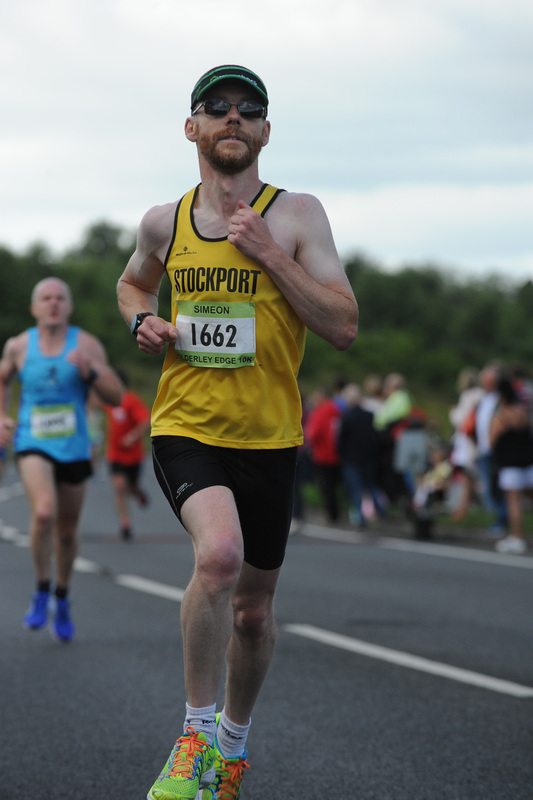 It turns out I wasn’t well on the day of Chester, I managed to get around the 26.2km course but my heart-rate was elevated throughout and it became clear that I must have been fighting a bug/virus at the time. Not that I knew about it beforehand. I mentioned that one of my goals for 2017 was to run 1000 miles in the 12 months. Now this started off very strongly with about 440 miles run in the first 4 months. But then came the injury and I didn’t run that much. By the end of September that total mileage had crept up to 680 miles. So not a complete write-off, but it was a long way short of where I might have anticipated it to have been. I decided to build up my training miles again, but thought I would do this via a Run Every Day (#RED) challenge in December. I did December because it is 31 days, not 30 in November. So it was a tougher challenge. I subsequently found out about the Run Up 2 Christmas challenge and it made sense to pull them all together. Anyway, more about that tomorrow! 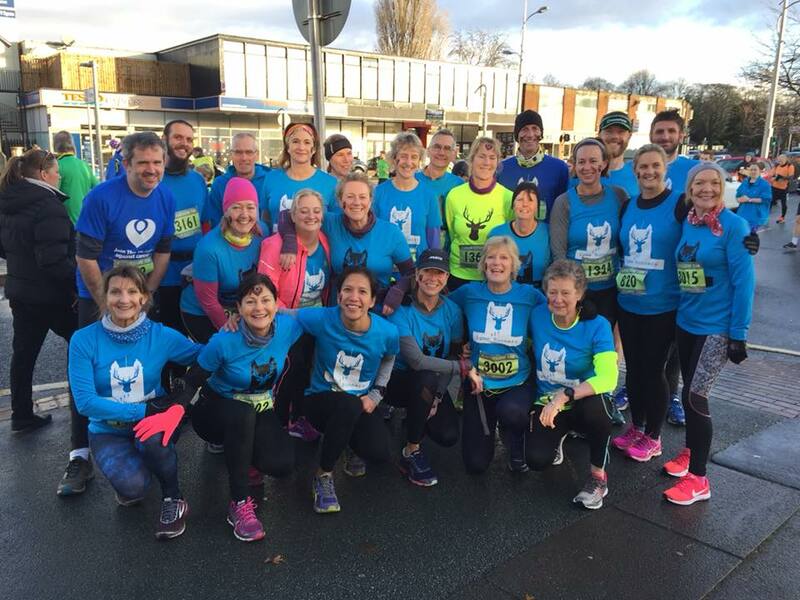 My own running club, Lyme Runners, were on a fund-raising mission for The Christie. Although we’re a trail running group, we decided to run the Wilmslow 10k road race. 24 turned out wearing our club colours and there were a couple of others who have run in the group who also ran the race. Many of the group got PBs. Including me; my Alderley Edge 10k PB from July was reduced by another 30 seconds. I’d also started to panic over whether I was physically capable of doing a 31 day running streak. The most I’d ever done before was 10 days. So I thought I’d try doing a few back to back runs. I started on 31st October. And didn’t stop! So my #RED December challenge was immediately preceded by a #RED November. Ooops. Everything you’d want to know about my running November! 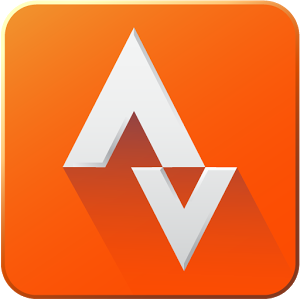 Strava has a useful function which tracks a target distance over the year. Basically it divides the total by 365 and then updates the cumulative figure daily. And whilst I was comfortably ahead on the mileage early in the year, the downtime through injury canceled this out. By 31 October I was 79 miles ‘behind’ where I should have been. That’s a big deficit to meet with only 2 months of the year left! Over November 2017 I ran 141.5 miles. Most of this was only a few miles each day. I set a minimum daily distance of 1 mile and I did that 3 times during the month. The impact of this huge mileage was that by 30 November the ‘deficit’ had been reduced to 20 miles. That would require me to run 105 miles during December to reach 1000 miles total. If the last paragraph was set to leave you in suspense until I write up #RED(BED) December tomorrow, this next one may contain vital clues. Although if you’ve been following the #REDBED Challenge updates you may have already worked out whether or not I had managed to cover 105 miles this month. 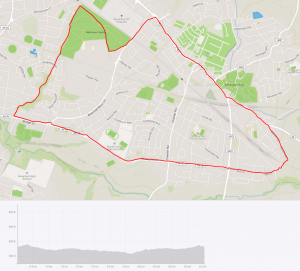 It’s based on my original 5 mile loop which I used to do when I was training for my first 10k. I’ve more recently dropped from the tarmac off through Mirrlees fields and onto the Fred Perry Way which adds about a mile to it. I’ve never done this revised loop anticlockwise until today. So after all the recent pavement bashing, today is miraculously a first! Tomorrow is the last day of #REDBED. I’ll cover all the stats and numbers for this crazy month long challenge in tomorrow’s post. Each year I set myself something challenging to do (when life itself isn’t enough of a challenge). 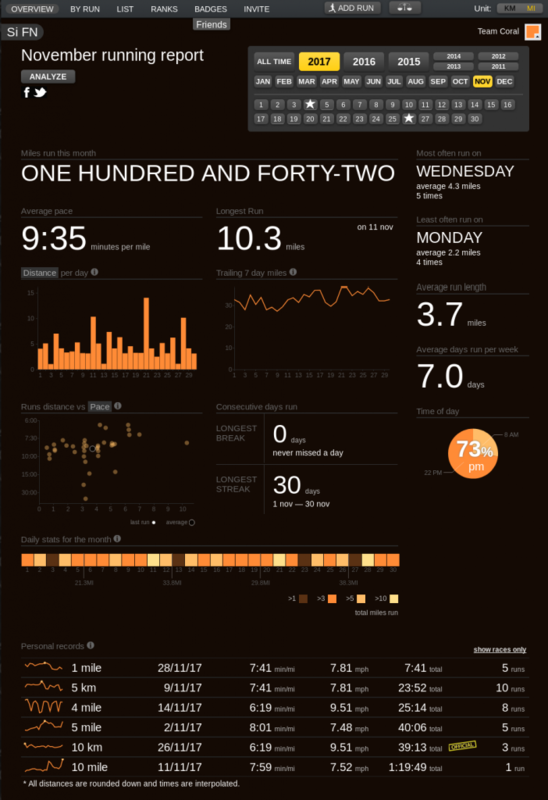 In December 2017 I decided that not only would I do a Run Every Day (RED), I’d post a (running-related) Blog Every Day (BED) as well. Hence #REDBED was created. You can read a little more about that and the other ‘internal’ challenges on my first blog of the challenge! Be the first to comment on "2017 round-up (part 1) #REDBED Day 30"